Beautiful card measuring 118x179mm when folded in Opal double sided Pearlescent card. 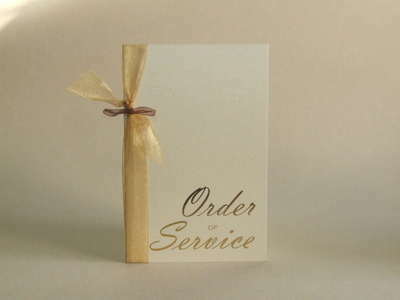 with gold foiled words 'Order Of Service use size B insert paper to line this card. Use Size Insert templates for wording layout.